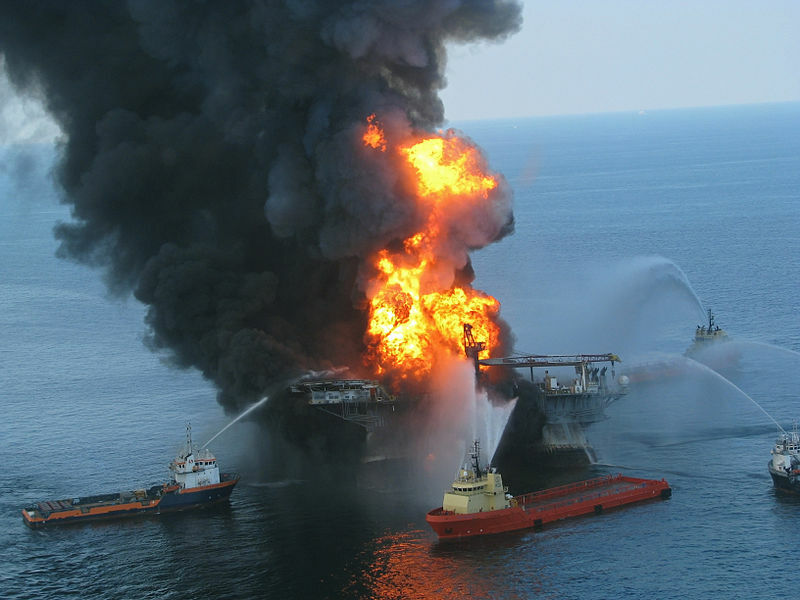 IntLawGrrls: BP Guilty Plea: Vindication or Drop in the Ocean? ► Eleven of the felony guilty pleas are for BP’s criminal violations of 18 U.S.C. § 1115 (Misconduct or Neglect of Ship Officers), for negligence that resulted in the 11 worker deaths. The twelfth felony guilty plea is for violation of 18 U.S.C. § 1505 (Obstruction of Congress), by misrepresenting the flow rates from the wells – the company reported flow rates of 5000 barrels a day, despite internal BP data showing flow rates at least an order of magnitude greater. ► The misdemeanor guilty pleas are for violations of the Clean Water Act, 33 U.S.C. §§ 1319(c)(1)(A) &1321(b)(3), and the Migratory Bird Treaty Act, 16 U.S.C. §§ 703 and 707(a). Under the plea deal, BP will pay $1.256 billion in criminal fines, $2.394 billion for remediation efforts, and $350 million to the National Academy of Sciences. In a parallel proceeding resolved along with the criminal charges, BP also agreed to $525 million to settle civil charges, brought by the U.S. Securities and Exchange Commission, for misleading regulators and investors about the flow rate of oil from the well. With the SEC settlement, the aggregate amount of the deal announced Friday is approximately $4.5 billion, with payments scheduled over a period of five years. Four and a half billion dollars, by many measures, is a lot of money. It is more than the nominal gross domestic product of 44 nations, including Belize and Montenegro, and roughly on par with that of Kyrgyztan. It is well over half of 2011 budget of the U.S. Environmental Protection Agency, which is $8.7 billion. However, $4.5 billion is significantly less than the $7.7 billion profits BP reported in the fourth quarter of 2011. The criminal penalty assessed for the worst environmental disaster in the United States' history did not even amount to one quarter’s profit for the main perpetrator! Whether one views the goal of criminal punishment as retribution or deterrence, it is difficult so see how the proposed plea deal and penalty accomplish the goal. Eleven people are dead because of BP’s criminal actions. Untold numbers of fish, endangered turtles, marine mammals, and seabirds perished because of BP’s criminal actions. 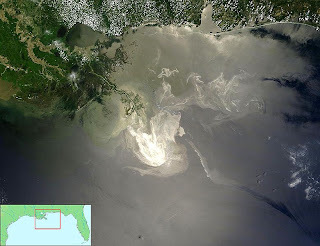 During the 87 days it took BP to finally stop the leak, over 4.9 million barrels of crude oil (170 million gallons) gushed into the Gulf of Mexico. For perspective, that makes the BP spill about fifteen times the size of the Exxon-Valdez disaster of 1989. Vulnerable marine and coastal ecosystems were contaminated, perhaps beyond repair, because of BP’s criminal actions. Had the company lost at trial, BP could have faced up to $40 billion in fines for its criminal actions. Instead, BP has agreed, with great fanfare, to pay less than one quarter’s profit as a penalty. When measured against the devastation BP wrought, as well as BP’s profit margin, this settlement for one-tenth the potential criminal liability looks like a pretty sweet deal for the company. Moreover, under the terms of the settlement, BP will have five years to pay the assessed penalties, with nearly half the penalty not due until 2017. At standard present value calculations, the fine will actually cost BP somewhere around $3.74 billion. There is another context that matters as well. BP is a criminal recidivist – a repeat offender. In 2005, BP pled guilty to felony Clean Air Act violations in relation to a catastrophic explosion in its Texas City refinery that killed 15 workers and injured more than 180. The civil and criminal fines stemming from this incident topped $300 million. For subsequent violations at the same facility, BP racked up another $87.7 million in civil fines. While still on probation, BP again engaged in criminal activities, pleading guilty in 2006 for criminal negligence associated with an oil spill that released 300,000 gallons of oil in Prudhoe Bay, Alaska. For this, BP paid a $20 million criminal fine. All of these criminal violations had their roots in ill-advised cost-cutting on maintenance, intended to boost profitability. Twenty-four states and the federal government have adopted “3 Strikes” rules, under which criminal recidivists, regardless of the severity of their third crime, can receive enhanced sentences. BP has had three very significant strikes – compiling up the worst safety record of any oil company operating in the United States. In my view, the Department of Justice should seriously consider not only criminal fines, but the even more significant punishment of “debarment,” which would disqualify BP from getting federal contracts. That is probably the only deterrent that will work for a company that can readily absorb billions of dollars in penalties, fines and expenses. While no amount of money can restore what we lost in the Deepwater Horizon disaster, BP will certainly wind up paying very substantial sums of money. Even after the criminal penalty is settled, BP will still owe compensatory payments to businesses and individuals for economic losses caused by the company’s criminal actions. A settlement of those claims, in the amount of $7.8 billion, is likely to be approved soon. The government is also proceeding against BP civilly under the Clean Water Act. These damages could amount to $21 billion – $4,300 per barrel spilled – if BP is found to have been grossly negligent, with a minimum of $1,100 per barrel – or a total of $5.4 billion – if BP’s conduct does not rise to the level of gross negligence. BP may also be liable for around $5 billion in natural resource damages flowing from the spill. This is in addition to the $14 billion BP claims to have spent on operational response and cleanup costs, $1 billion spent on early restoration projects, and $9 billion paid out to individuals, businesses and government entities through the Gulf Compensation Fund. All tolled, BP’s total expenditures are likely to exceed the $38.1 billion charge against earnings that the company took for costs associate with the disaster. ► Transocean, as operator of the Deepwater Horizon drilling rig, and Halliburton, as the contractor whose faulty cement work failed in the well, also face potential civil and criminal liabilities. ► Additional charges have been filed, moreover, against three BP officers. The two top officers aboard the Deepwater Horizon drilling rig were charged with 11 counts of manslaughter, and BP’s former vice-president was charged with obstructing Congress and making false statements.